Austin Ableton Tutor is sponsoring a live streaming event at Google Fiber Space in downtown Austin Texas on Jan 27th at 6:00pm CST. Topic: Live looping, sampling, and sequencing in Ableton with Max4Live. 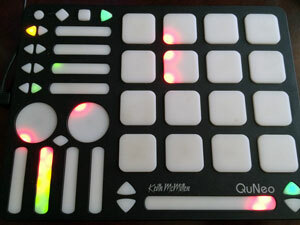 Topic: Processing and workflow utilizing both external hardware and Ableton Live 9. This entry was posted in News, Uncategorized on January 23, 2016 by Jimmy Allison. As we know, the time signature defines the count for each measure. The count is like a palette of options, and the measures are like a canvas, ready to be created with. Sub-division is what gives us the rhythm. It is the color spectrum on the palette. Let’s have an example. We’ll use 7/8, which as we learned in the last Beat Basics article means a count of 7 eighth notes in each measure. First, let’s break it down this way: 1-2 1-2 1-2-3, 1-2 1-2 1-2-3. Three groupings of eighth notes that equal up to 7. Hand clap on the 1 of each group to get a sense of the rhythm that is created by this sub-division: 1-2 1-2 1-2-3, 1-2 1-2 1-2-3, 1-2 1-2 1-2-3. Notice the rhythm? This is used in Turkish, Arabic, and some Latin music. Another way to breakdown 7/8 is: 1-2 1-2-3 1-2, 1-2 1-2-3 1-2. Do you see the difference between the two sub-divisions? They have a different emphasis, and the count makes a different rhythm, even though they are both still in the same time signature. 7/8 can also be broken down as: 1-2-3 1-2 1-2, 1-2-3 1-2 1-2. This creates yet another type of rhythm. Any combination of eighth notes can be used, as long as they add up to 7, each one creating a different feel. Even this unusual one works: 1 1-2-3 1-2-3, 1 1-2-3 1-2-3, 1 1-2-3 1-2-3. Try clapping that one, it almost has a broken record feel as it comes back to the beginning of the rhythm. We’ve looked at 7/8, let’s try a different time signature to further emphasize the point. This time we’ll use 9/8. The most common form of 9/8 is this: 1-2-3 1-2-3 1-2-3, 1-2-3 1-2-3 1-2-3. This gives a triplet feel to the count. Here is another way to do it: 1-2 1-2 1-2-3 1-2, 1-2 1-2 1-2-3 1-2. There’s a big difference between the two, but they are both using the same time signature. Do you see the value of knowing sub-division? It opens up a whole new range of musical expression. Knowing how to break down a time signature into different rhythms allows one to create with a whole range of different feels. Not only does sub-division effect the rhythm and movement of a song, but it also significantly effects the melodic and chordal structure of the song. The melody will be written based upon the rhythm of the music. Rather than sticking to the standard 4/4 beat of most music, sub-dividing adds a whole variety of possibility. Once one masters sub-dividing, one can then begin to create music that switches time signatures multiple times throughout a song. This adds a great depth to what one can create. The possibilities are indeed endless. Hopefully this helps further your understand of time signature and rhythm. The next installment of beat basics will cover Syncopation. In the meantime, start counting and experimenting! This entry was posted in Music Theory, Tutorials, Uncategorized and tagged Beat Basics, Drum Programming, Music Theory on October 13, 2015 by Austin Ableton tutor. Today we’ll be covering one of the prime aspects of creating music. Before one considers song structure, harmony, or melody, one must start with the fundamental element, the beat. This is what lays the foundation, and the layers of the song come from there. To properly understand what makes a beat, it is important to know the correct terminology and concepts. Music is a language, and when one knows the terms, ideas can be communicated to other musicians. We will cover time signature, measures, phrases, beat counts, and also what they look like on the music page. Knowing this will help line up different drums to match the rhythm, for example. A note is the time measure of a sound in how it relates to the music. To make a rhythm, one puts notes together into beats. A beat is made up of one or more notes. Try counting 1-2-3-4, while tapping your toe along with it. Each one of these numbers is considered a beat. In a four count like this, when the note and the beat are the same length, the note is called a 1/4 (quarter) note. It is also called this because this note/beat is 1/4 of a measure, typically. A measure is made up of beats, in our current example there are 4 beats in a measure. Now lets look at some other note lengths. If we kept the beat the same, 1-2-3-4 (one measure), but doubled the amount of notes (making there be 8), having two notes per beat, these notes would be called 1/8th (eighth) notes. One note is 1/8th of the measure long. We could double the notes again, still keeping four beats per measure. This would make us have four notes per beat, 16 in total. These notes are called 16th (sixteenth) notes, also because there are 16 of them per measure. This is the basically how the count works, however measures are not limited to 4 beats. How does one know what a measure is worth in a song? This is dictated by what is called the time signature. The time signature controls the overall count of a song, saying how many beats are in a measure and what notes to use to make up the beats. Let’s break down what it means when someone says a song is in 4/4 time. The bottom 4 means each beat is worth a 1/4 note, and the top 4 means there are 4 of these 1/4 notes in a measure. If we change it to 3/4 for example, there are 3 beats in a measure. You get the idea. It gets tricky when we change the bottom number to say an 8. Let’s look at the 6/8 time signature. The 8 on the bottom shows that the beat is using 1/8th notes, and the 6 says there are six in a measure. We will delve further into other time signatures in future blogs. 4/4 is the typical time signature is most music. The final term to know is what is called a phrase. A phrase is a group of measures. Usually a phrase will be four, eight or sixteen measures long. Phrasing is what is used to make a verse, chorus, and other aspects to constructing a song. When one has the time signature, puts the beats into measures, groups the measures into phrases, a song is born! Hopefully this was helpful in understanding the fundamental concepts for creating music. With this understanding, you can work with other musicians and also better construct your music. 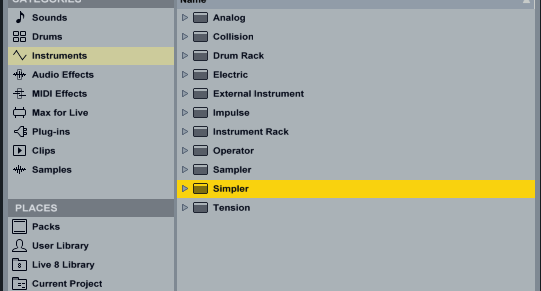 This entry was posted in Ableton, Ableton Lessons, Tips, Tutorials, Uncategorized, Written Tutorials on September 10, 2015 by Austin Ableton tutor. I will be involved with a few free events in Austin Texas during SXSW. These are all Free no badge required SXSW events. I am doing an Ableton Live Clinic at Culture. This event will have a bunch of DJ’s and Bands, plenty of of good times to be had by all. For more info check out the facebook page. 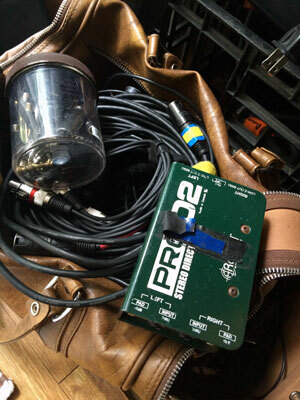 I will have a Demo set up and be participating in a panel at the Protos Festival. 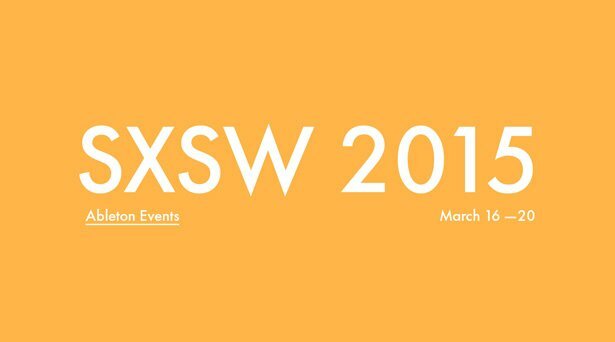 is involved with this SXSW go to this link https://www.ableton.com/en/blog/meet-ableton-sxsw-2015/. This entry was posted in Events, Uncategorized on March 14, 2015 by Jimmy Allison. get your Free Effects Racks Twist King and Stutter King here! This effect rack was design was inspired by my friend Rion King when he came to my house to help me with some ideas on Lux Divon Track I was working. Rion made the suggestion to do a beat repeat with while sweeping the frequencies with a filter. I loved the rack design so much that I figured it was time to share them with the world! Ableton Effects Racks Twist King and Stutter king are great effects to use for live performance and on your music productions. Drums, Vocals, Synths, anything, yes anything! This entry was posted in Ableton, Effects, Free, Free Content, Freebies, Uncategorized, Videos, Videos on March 4, 2015 by Jimmy Allison. This entry was posted in Uncategorized on February 10, 2015 by Jimmy Allison.